Upon becoming Whitehall City Schools' eighth superintendent in July of 2013, it marked Brian Hamler's second return to Whitehall. Though his heart has never left. Brian was born and raised in Whitehall and graduated from Whitehall-Yearling High School in 1977 where he excelled as an athlete in baseball. He went on to receive his Bachelor of Arts in Health and Physical Education degree from Capital University in 1981 where he also played baseball. Brian started his career at Gahanna-Jefferson Public Schools where he taught and coached. He went on to become the head varsity baseball coach at New Albany High School while continuing to teach at Lincoln Elementary in Gahanna. Earning his Master of Arts in Educational Policy and Leadership from The Ohio State University in 1998, Brian eventually went on to become an assistant principal at Hawthorne Elementary in the Westerville City School District. Brian returned to Whitehall in 2001 as Principal of Beechwood Elementary where he remained until 2006. At that time, he was promoted to Associate Superintendent as Director of Administrative Services at Whitehall City Schools. A position he held until 2011. An opportunity arose with South-Western City Schools and Brian left to become Director of Personnel for the district where he was in charge of recruiting, hiring, mentoring, and professional development. 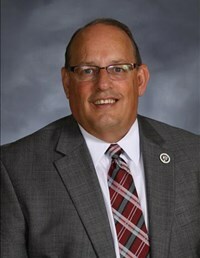 With the retirement of his mentor and former WCS Superintendent Judy Dobbert-Meloy in 2013, Brian seized the opportunity to once again come back to Whitehall. Brian lives in Gahanna with his wife, Wendy (also a WYHS alum), and their son, Blake.